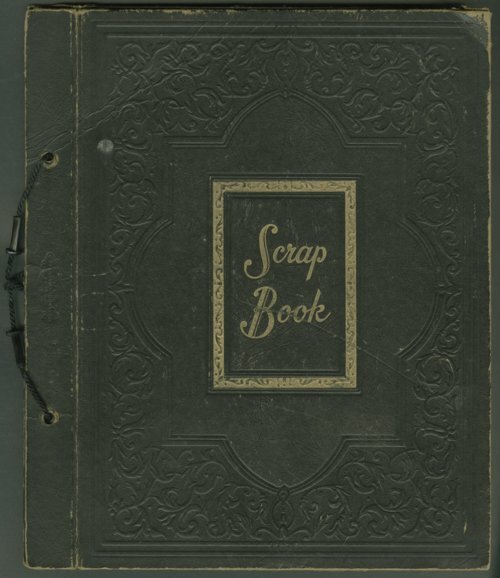 This scrapbook contains clippings and photographs relating to the baseball activities of Paul Packer, who grew up in the East Hill area of Topeka, Kansas. Packer was an infielder and pitcher on the 1951 Topeka Mosby-Macks baseball team. The scrapbook contains clippings about the team's season, and also includes a group of snapshots featuring its players and coaches. The team represented Capitol Post 1 in the American Legion baseball program, but took its name from its sponsor, the Mosby-Mack Ford dealership. The Mosby-Macks finished second in the American Legion's state championship tournament held in Russell, although Packer was unable to participate in the tournament because of illness. Following Packer's graduation from Lecompton High School in 1952, he joined the Topeka Decker Oilers semi-pro baseball team as a utility player. Articles from the 1952 Decker Oiler season also are included in the scrapbook. The team finished second in the state semi-pro tournament held in Wichita. Packer played with the Decker Oilers again in 1956, 1959, and 1961. He also spent a season with the Larned, Kansas, Ban Johnson team, and played fast pitch softball in Topeka for a number of years. Paul Packer had a 34-year career with the Topeka Fire Department. Digital reproduction of the scrapbook was accomplished through a joint project sponsored by the Kansas Historical Society and the Shawnee County Baseball Hall of Fame.